Reprint. This edition originally published: 1975. When Max puts on hiswolf suit and makes mischief, his mother calls him 'Wild Thing' and sends him to bedwithout any supper. But Max is not scared. Instead,Max tames the wild things and is made their king. 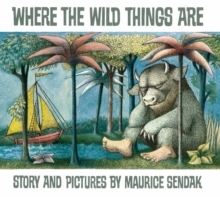 When things have gone far enough, Max sends the wild things off to bed without theirsupper and returns to the safety of his bedroom.